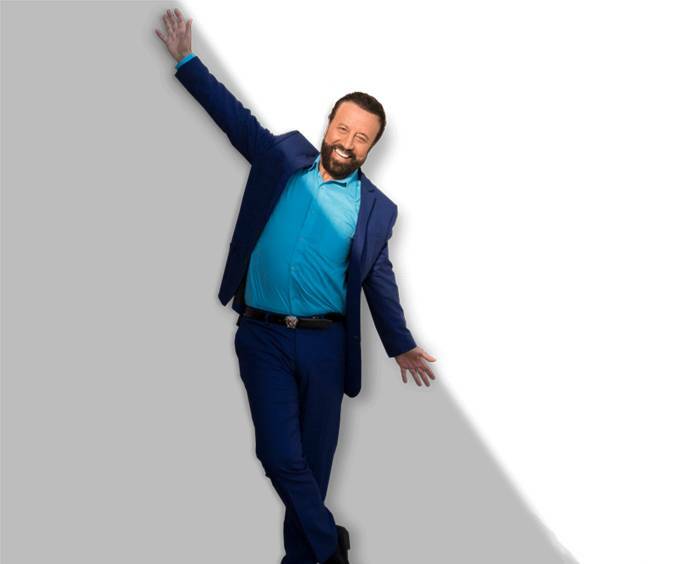 Start your day right with Yakov's 'Make America Laugh Again' Show, featuring Russian-born comedian and two-time winner of 'Comedian of the Year,' Yakov Smirnoff. A visit to the Yakov Smirnoff theater with this philosopher and comedian promises to have you laughing your 'yak-ov.' Yakov's comedic style is firmly grounded in his mission statement, 'to experience happiness and teach it to the world with passion through comedy and sensitivity' and his humorous relational commentary confirms that love and laughter do indeed go hand and hand. You'll be laughing until your sides hurt as Yakov shares his hilarious perspectives on life, American culture and the indisputable differences between men and women. Sit back and enjoy this humorous, conversational show as he describes what it was like to move to America and learn our customs the hard way. Once you experience his talent and charisma live onstage, you'll understand why this Branson show has been selling out for years. Come meet Yakov yourself and find out what everyone has been talking about. Yakov Smirnoff was born in Odessa, Ukraine and began his stand-up comedy career in the U&period;S&period; in the late 1970's. He was born 'Yakov Naumovich Pokhis' but chose the last name 'Smirnoff' because it was a name he thought Americans would be familiar with after a short time bartending in America. He moved to Los Angeles in the early 1980's and made his first film appearance in 1984 with a small role in Moscow on The Hudson with Robin Williams. He had appearances in several other films including Buckaroo Banzai, Brewster's Millions, The Money Pit and the sitcom Night Court. He also had a lead role in the sitcom What A Country! In 1988, he was the featured entertainer at the White House Correspondents' Dinner and opened his own theater in Branson in 1992. Since then, has entertained more than 4 million visitors at his Branson theater. He earned his master's degree in applied positive psychology from the University of Pennsylvania and incorporates his education, humor and life experiences into his hilarious commentaries. Recently, Smirnoff has been traveling with his 'Happily Ever Laughter Tour' in which he showcases laughter's effects on relationships.